Bollywood is an uncertain place for relationships to thrive and this has been proven time and again. 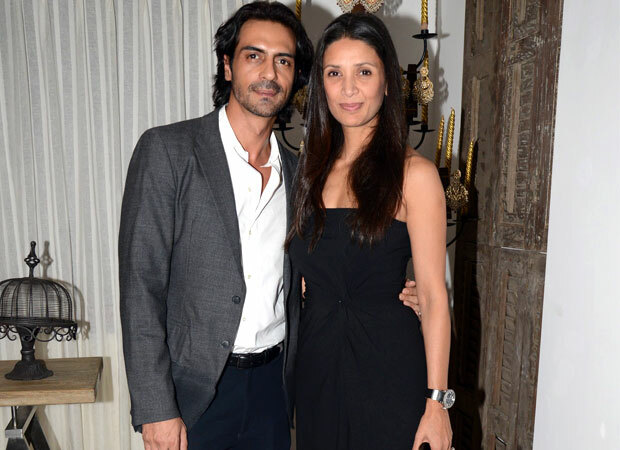 Arjun Rampal and Mehr Jesia were a rock-solid couple who gave us relationship goals for over 20 years therefore the news of their separation has come as a shock for their fans. The couple made a joint statement to announce their separation and mentioned that the decision has not been easy for them. Relationship ends but love for family is forever, they said. Arjun-Mehr said that they would always be there as parents for their daughters and won’t shy away from any responsibility with regard to that. ‘After a 20-year-long beautiful journey filled with love and beautiful memories, we would like to share, that all journeys have different paths. We feel that it is time for us to move on to different destinations henceforth. We have always been solid when it has come to us, we will continue to be solid for each other and our loved ones, as we embark upon a new journey. Both of us being extremely private people feel strange to be making this statement, but such are the circumstances of our lives. Where the truth can get distorted and lost. Last couple of years saw a lot of Bollywood couples breaking up including Arbaaz Khan– Malaika Arora Khan and Farhan-Adhuna Akhtar. But it is heartening to know that despite separation all these ex couples like Hrithik Roshan– Sussanne Khan continue to support each other and the kids and giving us inspiration. Arjun and Mehr too assure to do the same.